Amazon is running a huge sale on Anker's Lightning and USB-C cables today. Father's Day is just a few days away, but it's not too late to get dad something he'll love. Of course, the best gifts are both thoughtful and practical, and if your dad loses his charging cords as often as ours do, no gift will fit the bill better than some backup Lightning and USB-C cables. And right now, Amazon has a couple different options from Anker on sale to suit the smart phone-toting dad in your life. First up, Anker's PowerLine+ three-foot Lightning cable two-pack is $16, down from an average of $21 and the lowest we've seen it. 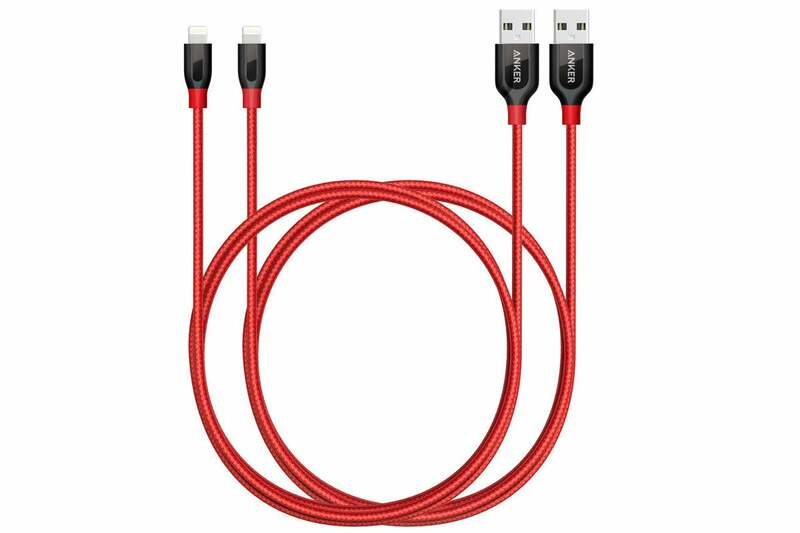 These cables are built to be durable, and their double-braided nylon exterior is resistant to wear and tear caused by twisting, pulling, and dropping and work with most iPhones and iPads. With a 4.5-star rating over more than 600 user reviews, that this cord pack means business. Another option on offer is Anker's PowerLine USB-C to USB 3.0 three-foot cable, in this case offered as a three-pack. The set is $12 right now, down from an average of $15. These cords provide backup charging with any phone, portable, or multi-port USB charger. They also feature fast transfer speeds (up to 5 Gbps) and durability (up to five times the lifespan of other USB cables). They have 4.6-star rating over more than 600 user reviews, which means they're sure to be a hit with dad.